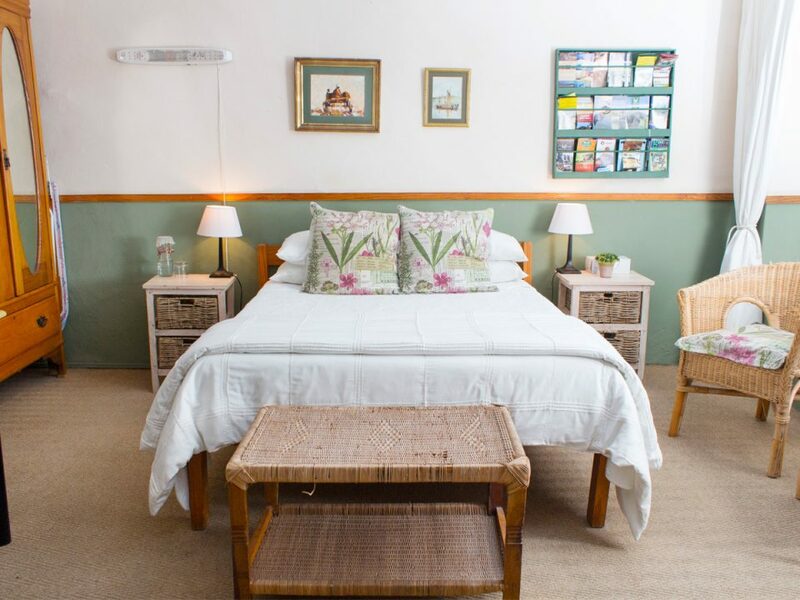 Overlooking the back water wise garden, this sparkling sunny room has a double bed, en suite shower and kitchenette. 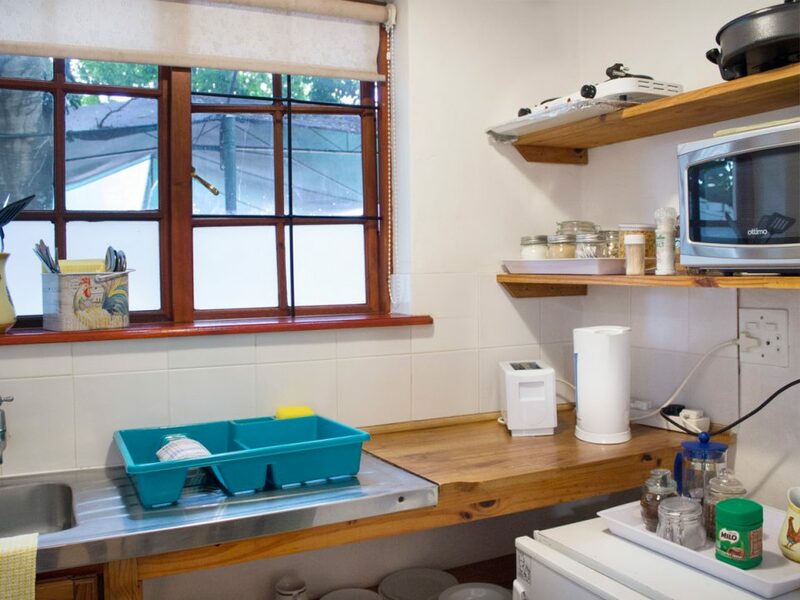 Breakfast can be taken in the garden where you will be kept company by our people friendly bird life! Our guests have access to our FREE WiFi during their time with us. 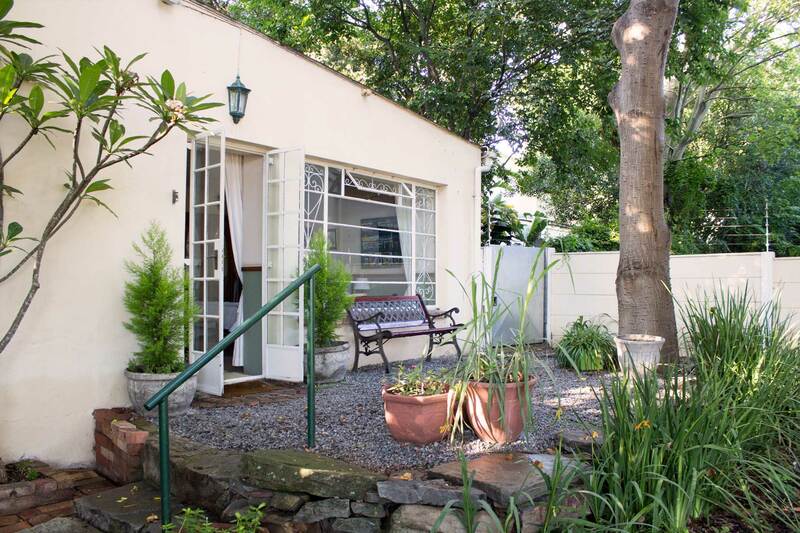 Guests have access to the back parking area of the property for secure and convenient parking. 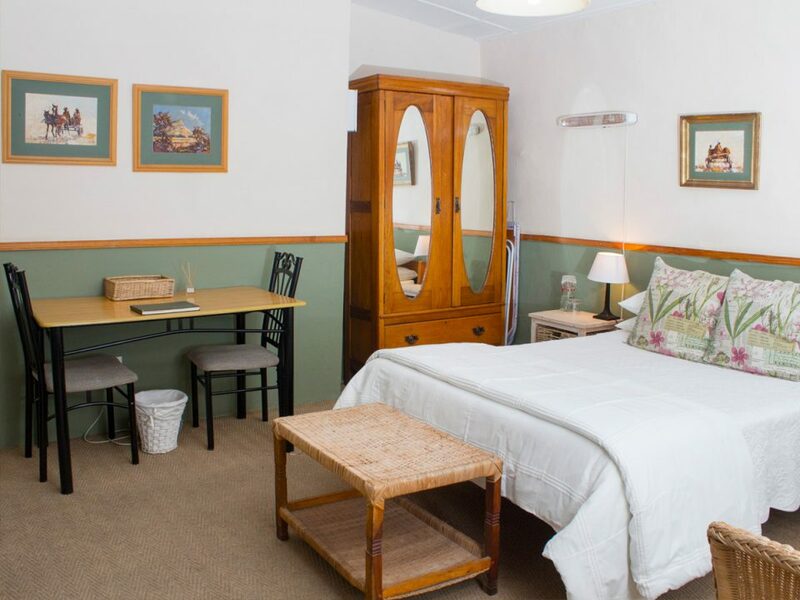 We’re within walking distance of all the major attractions in Grahamstown – so go exploring!